All music here is made on a PC computer using a DAW and VST plug-ins. My current DAW is Acoustica's Mixcraft 8.1 Pro Studio. I also have numerous VST instruments including Sonic Projects OP-X and OP-X Pro II, Arturia's Oberheim SEM V, Mini V2, Arp2600 V2, Prophet V2, and Analog Lab, Korg's Legacy Collection, UVI's PlugSound Pro, Synth Legacy, Synth Anthology, Vintage Legends, and Sweep Machine, Music Lab's Real Strat, and many freeware plug-ins too numerous to list here. 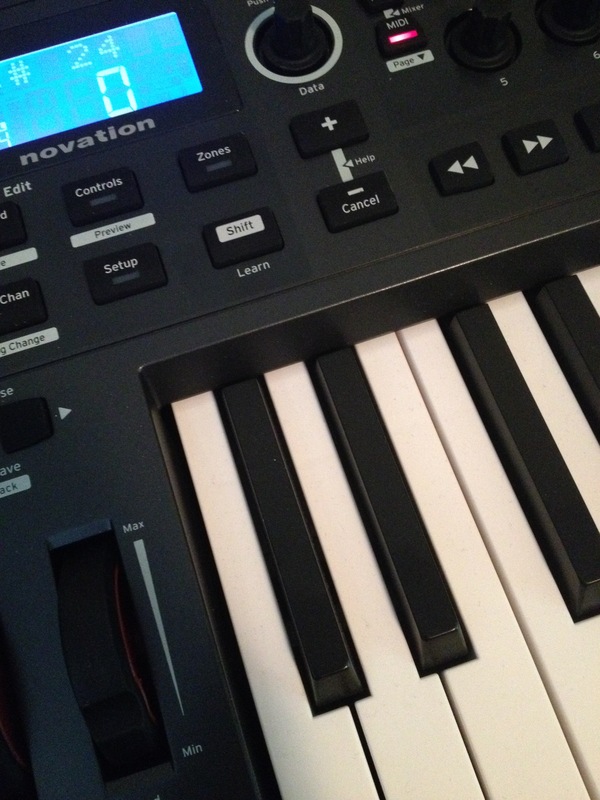 I use a Novation Impulse 25 keyboard controller and Graphite MF8 for MIDI control. Recently I added a couple of guitars to my sound posibilities. I now also use a Squier Bullet Strat and a Mitchell MD400 guitar in my music (no I can't play properly yet, but I can get sounds that work with my music).